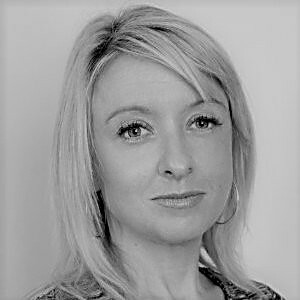 Liz is a consumer oriented, innovative and results driven marketing professional, specialising in working with organisations to unlock the next stage of growth. With a wealth of commercial experience gained in the FMCG, Retail, Hospitality & Entertainment industries leading high performing teams across all elements of the customer journey. Working with the Board or CEOs to develop insight-led commercial strategy, Liz has a proven track record in development & launch of new categories, design of annual plans with P&L responsibility and strong leadership skills, developing existing marketing teams to support business goals. Designing B2B/B2C strategies: customer journey mapping & segmentation, CRM, content design & development and campaign management including measurement and evaluation. Conducting pre-acquisition due diligence and preparing businesses for sale by developing a commercially viable marketing strategy, new brand identity, comms campaigns, NPD programme and 3 year pipeline. Relaunched Tesco Cafe, 300 cafes in Tesco stores across the UK, leading the marketing team in driving sales and converting new customers. Developed a new comms strategy, refreshing key categories to drive new customers & identified new areas of development through an insight programme. Leading and developing large teams, coaching and mentoring both in marketing and cross functionally.